The redesigned 2016 Chevrolet Malibu is one of the most exciting midsize sedans on the market right now, but the 2016 Toyota Camry remains a popular choice. Make sure you’re getting the car best equipped to meet all your driving needs by doing some research in advance of your next vehicle purchase. After reading this comparison, and concluding the new Malibu is the better investment, work with the staff at Sunrise Chevrolet in Glendale Heights. Our dealership is only 10 minutes away from Bloomingdale and serving the entire Chicagoland region! Why spend more than you have to? Going with the 2016 Chevrolet Malibu will help you keep more than $1,000 in your pocket. The all-new 2016 Chevrolet Malibu has a low starting MSRP of $21,625. 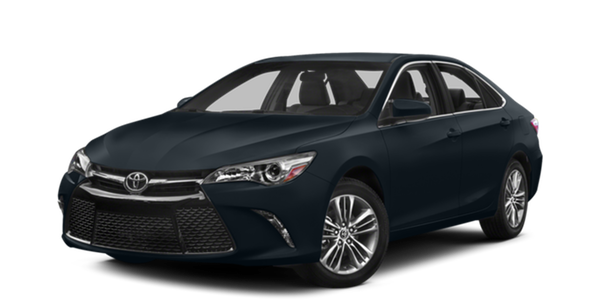 The pricier 2016 Toyota Camry is priced beginning at $23,070, and it only gets higher from there. Regardless of the cost per gallon, gas is a major expense that you take on each month. 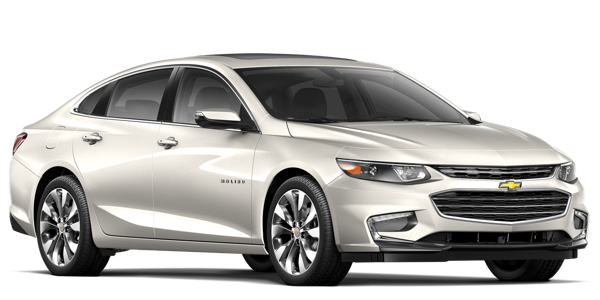 The fuel-efficient 2016 Chevrolet Malibu helps you cut that bill to a minimum. The base engine is rated at 27 mpg city and 37 mpg highway, while the stronger optional engine is rated at 22 mpg city and 33 mpg highway. If you do end up choosing the Camry, not only will you pay a higher starting price, but your fuel costs will be higher each month. The Toyota sedan’s base engine is rated at only 25 mpg city and 35 mpg highway, while the stronger optional engine is rated at 21 mpg city and 31 mpg highway. There are a number of high-tech features that are exclusive to the Malibu. Apple CarPlay and Android Auto: Seamlessly integrate the best features of your smartphone with your vehicle for true on-the-go convenience. OnStar: Immediately contact emergency assistance, look up turn-by-turn navigation instructions, and access a 4G LTE Wi-Fi connection with up to seven devices surfing simultaneously. Ambient Interior Lighting: Set the mood inside the cabin with a dynamic, multicolored lighting display. No matter how careful and cautious you are, there’s always a chance your car might break down on the highway. Chevrolet offers you an extended roadside assistance plan to protect you and your passengers for five years or 60,000 miles available night and day. While the Camry also has a roadside assistance plan, it ends after two years or a paltry 25,000 miles. Choose the newest Malibu and know for sure your transportation needs are covered. Head out on a test drive by driving just 10 minutes from Bloomingdale to Sunrise Chevrolet at 414 North Ave, Glendale Heights, IL. We are south off of Glen Ellyn Road and just west of the Brunswick Zone. Contact us if we can answer any questions.